The Open University's Michael Young Building consists of four small teaching rooms, named MYB 1-4, which are separated by three collapsible partitions. The space can be used as four independent rooms or a single large teaching area, along with several options for use as two or three rooms. Before our installation, the MYB's inherent flexibility was hampered by aged equipment and poor AV controls. All equipment, audio, and tie line connectivity was controlled through MYB 1. This was not only counter-intuitive to the room's purpose – it also required a great deal of hands-on supervision and was almost impossible for visitors and newcomers to use without prior knowledge of its quirks. Pacific won the tender to upgrade the rooms to a more current spec, with instruction to bring the rooms as close to self-sufficiency as possible while increasing their capabilities, flexibility, reliability, and ease of use. Sightlines were a key requirement of the brief, along with video conferencing capabilities to make the MYB suitable for professional presentations as well as external communications. After taking stock of the full brief, we designed a complete AV over IP solution which would meet or exceed the project requirements while also reducing the University's overall spend and power consumption. New 80” displays were fitted in each of the four rooms, eliminating sightline issues entirely and vastly improving visibility. Using our IT pedigree, we selected an AMX SVSI solution along with AMX RMS monitoring software, while front-end controls were provided through an AMX touch panel control system. For audio requirements, we designed a BSS system from scratch, which included a variety of BSS capabilities to cater for the required inputs and outputs, feeding into a Crown CDI 4 BL 4-channel amplifier. Meanwhile, all signals were routed using a Soundweb control with a Sennheiser IT system providing induction loop capability. To facilitate video conferencing, each of the four rooms was fitted with a VC setup from Lifesize encompassing a HD camera, omnidirectional ceiling microphone and AT lapel microphones, and full Skype functionality with cloud license. Video feeds are outputted to an Extron SMP352 streamer, allowing live video and pre-loaded content to be streamed to the web and simultaneously saved to local storage. 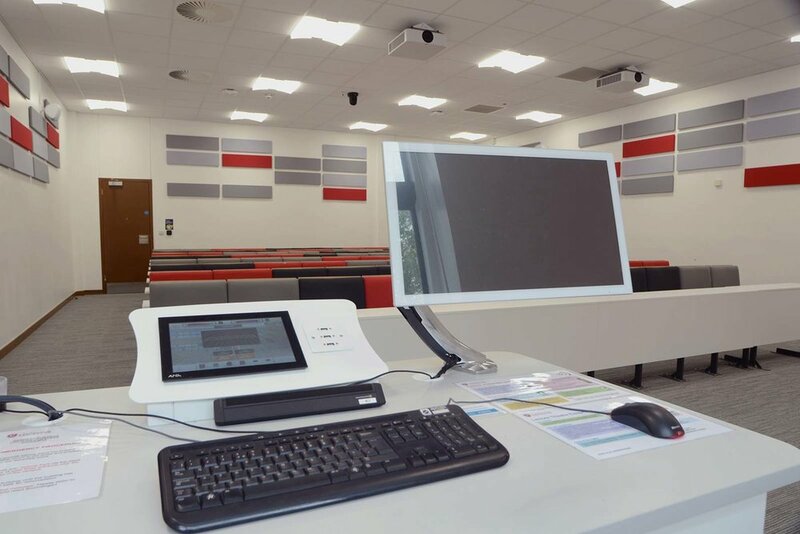 As much of the University's student body uses distance learning, this was a particularly crucial aspect of the installation, which informed our decision to use a robust Lifesize/Extron solution. 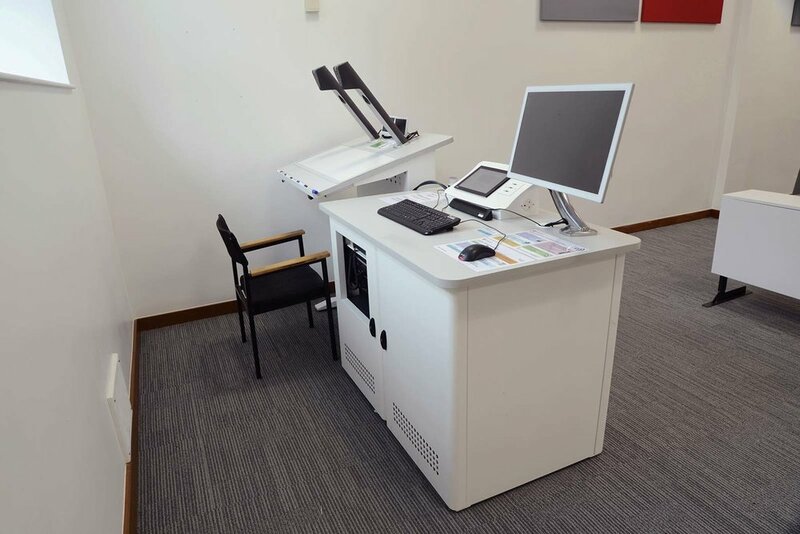 Finally, each room was fitted with a TopTec Explorer lectern housing various presentation sources including a built-in PC (supplied by the University), local HDMI and VGA laptop connectivity, and Freeview TV direct from a box housed within the Comms rooms two floors away. In 2015, the University of Bedfordshire created a tender for the supply of audio visual and digital signage for their new library building. This project included a requirement for a show-stopping display for the reception area, which would be used as an information platform to display key university statistics and opening times. Following a thorough tender process, AV and IT providers Pacific, were awarded the project and began working with the University of Bedfordshire to deliver against the requirements. 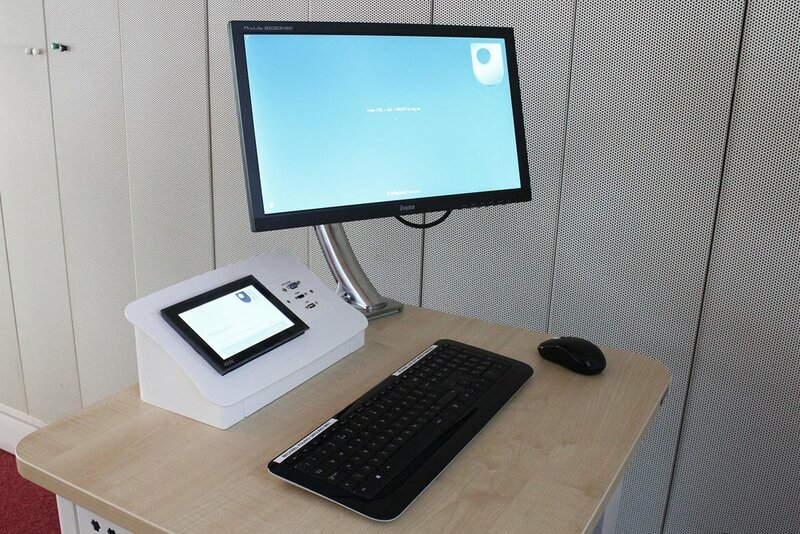 Pacific and the University of Bedfordshire reviewed numerous technologies to incorporate into the reception display and work alongside the specified Onelan digital signage system. In September 2015, Pacific hosted their annual Technology Event where PSCo, technical distributor of display technologies, showcased Absen’s narrow pixel pitch LED. The University attended the event as guests, and after seeing the LED display, decided that this technology would be an ideal fit for the reception display brief. As the display is truly seamless, it would not disrupt the content being showcased, and its extreme brightness, would allow information to be clearly seen even in the high ambient light environment. In order to choose the most suitable LED display product for the application, Pacific brought the University to the PSCo Assessment Centre. Here they had the chance to compare pixel pitches, see the performance and quality of the LED displays, and discuss project restrictions such as mounting. Following this assessment, the Absen N4, 4mm LED was selected for the project. The display was composed of 18 panels in a 6 x 3 formation, forming an impressive 6.91 x 0.86m display. PSCo worked with specialist mounting provider Boldman to provide a bespoke mounting solution. It would need to be mounted to an existing structure above the reception, so a full safety checked would be required to ensure it would be structurally safe and sound. The display also needed to be covered at the rear to ensure the product was enclosed, whilst still ensuring adequate ventilation. The chosen solution was an aesthetically pleasing mesh rear which delivered on all of these points. The project was successfully installed utilising PSCo Technical Assistance services to support with the set-up of the Absen N4 LED display in time for the library launch. Graham Pow, LED Sales Specialist, comments on the benefit of visiting the Assessment Centre. "The University of Bedfordshire had already seen Absen’s LED at the Pacific Technology Event but by visiting the PSCo Assessment Centre it gave them a chance to see the LED in more detail. We were able to show them a variety of pixel pitches, a selection of content, and discuss mounting options available. This was massively beneficial for all as it meant we could really get to know the customer and their requirements to ensure we found the best product for them!" 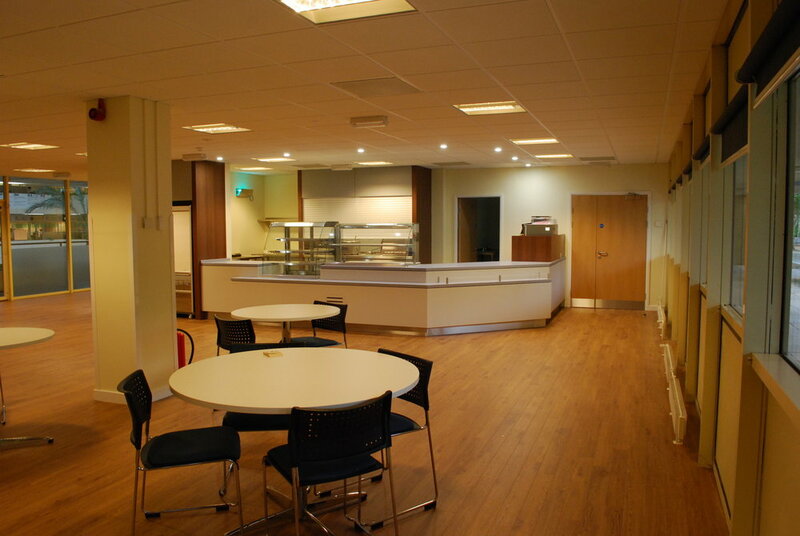 We recently completed a number of installations within the University of Leicester as part of an extensive refurbishment. Founded as a memorial to those lost in the First World War, the University has been active since 1921 and today ranks among the top 1% of universities worldwide. With around 20,000 students currently in attendance, the University of Leicester is renowned for its contributions to space research, the discovery of DNA fingerprinting, and the recovery of the remains of King Richard III, among many other achievements. 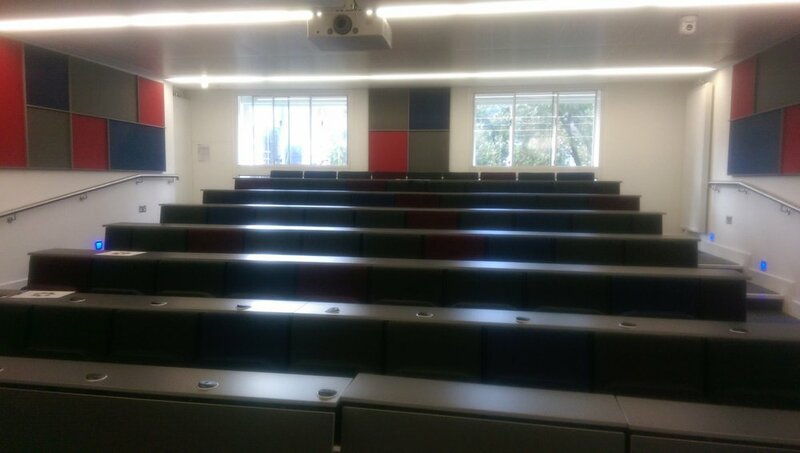 Over the summer of 2016, the University carried out a full refurbishment of six of their lecture rooms, primarily within the Bennett Building. Although they slightly differed in their layouts, each room was similarly dated and in need of upgraded teaching equipment. 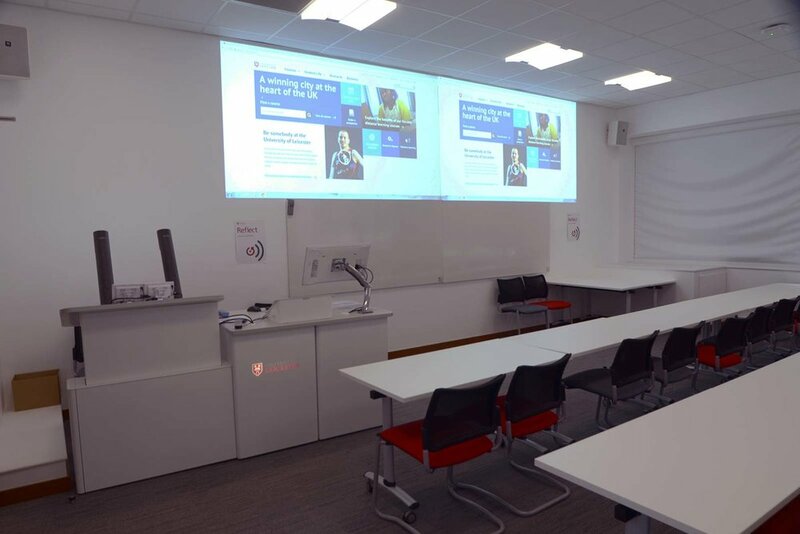 Working with the University's Estates department and AV specialists, along with the builders working on-site, Pacific sourced and implemented a modern and consistent AV solution throughout the refurbished lecture rooms. Old projectors, screens, lecterns, and whiteboards were stripped out ready for the installation of new equipment. 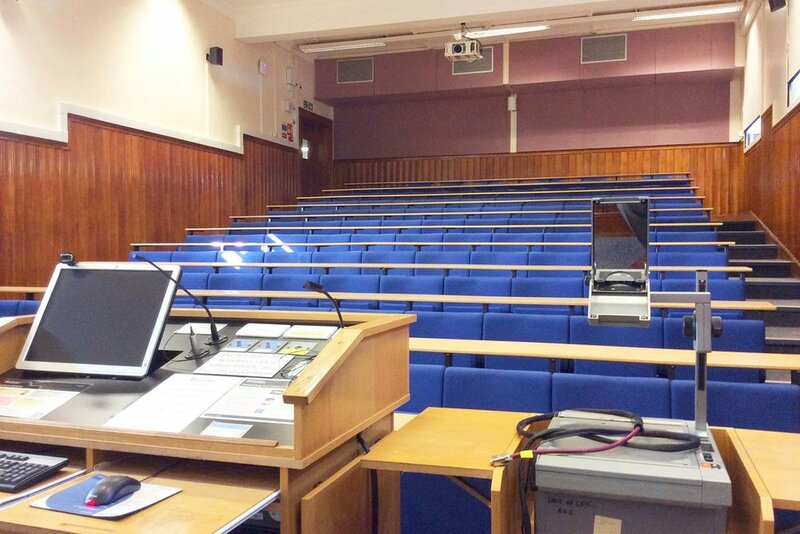 Of the six rooms, the four largest – including the Astley Clarke Lecture Theatre - received similar large-scale equipment to allow maximum visibility for larger classes. 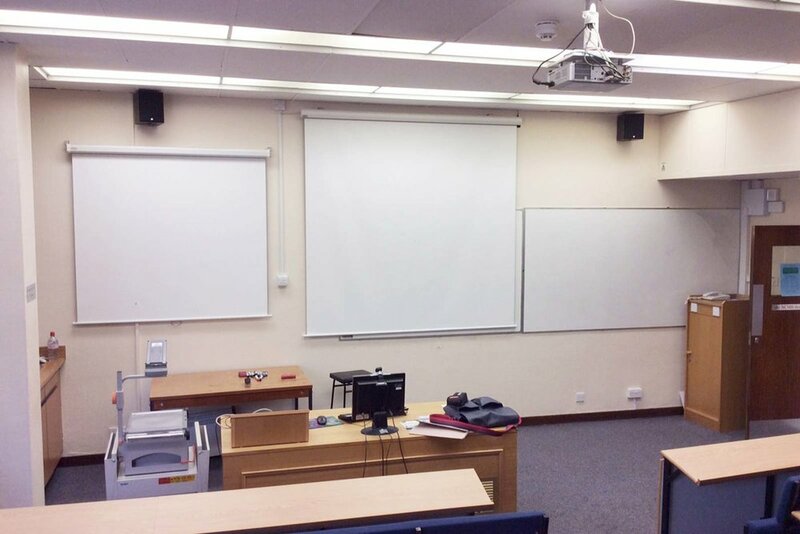 Two full-HD Sony projectors were installed - each projecting 16:9 images onto a flat teaching wall – and can be used to project one large image or two individual pictures, allowing for versatile teaching. These projectors are controlled via a touch-screen panel located on the main teaching lectern, which acts both as the lecturer's workstation and as an equipment cabinet housing a touch-screen PC with Blu-ray functionality and BYOD connections, as well as a borderless writing surface with top-mounted visualisers, allowing freehand writing to be displayed via the projectors. The touch panel provides full control over both projectors - either separately or as a pair - along with options to control audio levels, lighting, and blinds. Voice amplification is provided through a boundary microphone within the lectern and two wireless digital lapel microphones, with voice audio delivered through four wall-mounted speakers. Media audio is directed through two powerful speakers mounted on the teaching wall. Meanwhile, the two smaller rooms utilise a single wall-mounted 80” LED screen controlled through a similar lectern housing the same range of hardware and connectivity as the larger rooms. One of the two rooms also boasts three 43” repeater screens, which can mirror the image on the main screen or be used independently. Media audio is provided through wall speakers mounted either side of the LED screen. 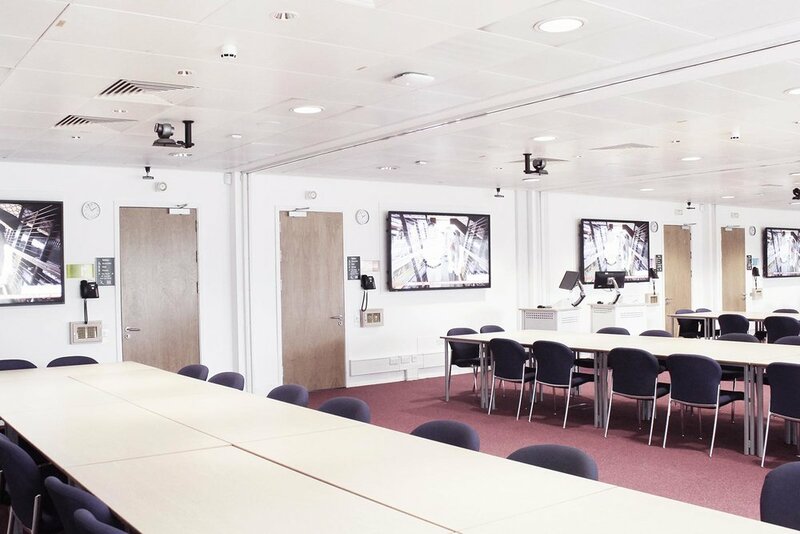 Each room is also outfitted for lecture capture, with the larger rooms using ceiling-mounted SDI PTZ cameras and each smaller room equipped with a USB webcam connected to the lectern. Network cameras also allow remote monitoring by on-site AV support teams. Finally, each room is equipped with a hard of hearing loop – and, of course, traditional whiteboard writing surfaces. Pacific work alongside University College London to innovate new teaching methods incorporating the latest AV solutions, making learning a more engaging and immersive experience for students and faculty alike. The Pacific team carried out a thorough revamp of the University’s Teaching and Design Department, providing a full CAD proposal before installing all-new audiovisual and lighting systems around a redesigned seating plan. The University of Portsmouth contacted us to provide them with a solution to enhance the teaching and learning experience they could offer in their new Business Simulation Suite. 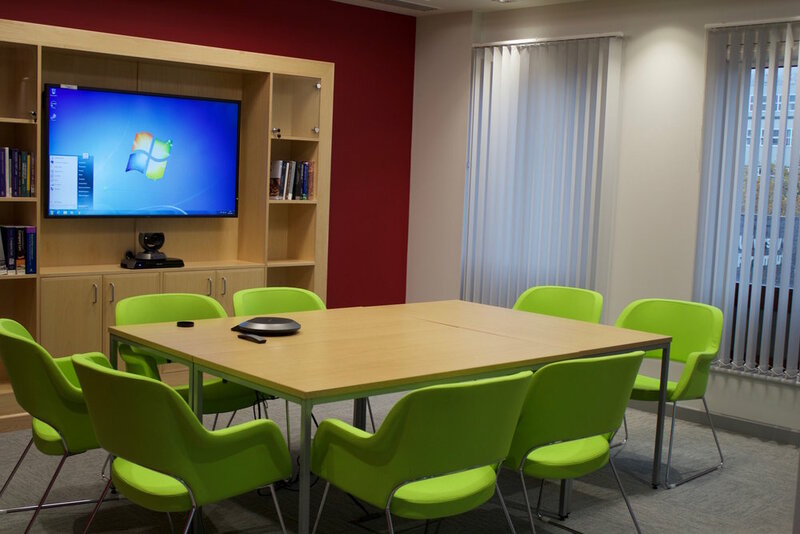 The critical element of this project was to ensure that the installed audio-visual technology did not interfere with the intended purpose of the suite, which was to simulate a real-life business environment; whilst also providing the ability to record everything that happened in the suite and make that content instantly available for playback throughout the suite, as needed, to allow group or individual discussion regarding a range of business practices and activities. With AirMedia anyone can walk into a room and wirelessly present common formats such as PowerPoint®, Excel®, Word and PDF documents as well as photos on the room display from their personal iOS® or AndroidTM mobile device. MacBook® and PC laptops can also be connected seamlessly, making presentations from almost any device fast and easy. There are no wires to hook up, no complicated settings to configure. Lifesize Icon 600 is a video system designed on one fundamental principle: simplicity. Setup takes minutes and starting a video call takes seconds. Video accelerates connected relationships with customers, partners, suppliers and colleagues through regular, face-to-face business conversations. Lifesize Icon 600 is ideal for large meeting spaces and delivers an immersive experience that enhances engagement and productivity. NEC MultiSync P553 SST is the latest multi-touch product from NEC's P Series boasting 55" in size. Based on the new touch technology ShadowSenseTM the display delivers true multi-touch support with up to 6 simultaneous touch points. ShadowSenseTM touch is an innovative and patented optical position sensing technology. The ultra-compact VB-S30D PTZ Mini-dome network camera features Full HD (1920 x 1080) resolution at 30fps. A CMOS sensor delivers impressive image quality without colour bleeding or blurred lines. Auto Smart Shade Control (SSC) optimises exposure to improve highlights and correct dark areas in back-lit scenes or low light conditions, offering a true Day/Night operation. 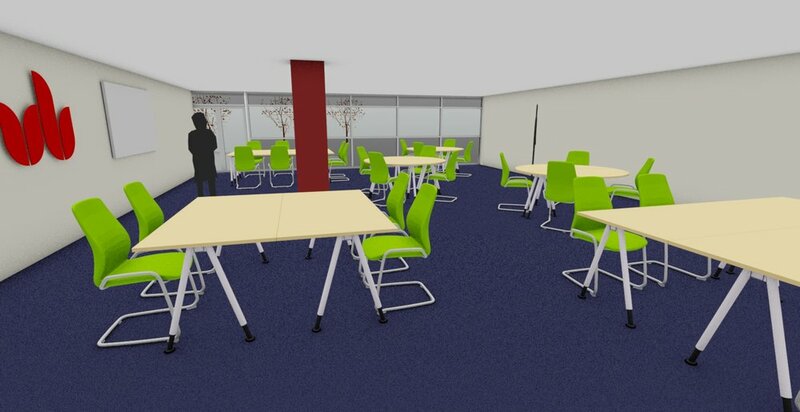 Furthermore, the suite needed to be capable of sub-dividing into core areas to allow students to be split into groups which could then undertake set tasks. Pacific worked in partnership with the University to enhance their original concept, by designing the location of display devices to ensure sight lines were preserved from any point in the suite which meant students could see any displayed material from anywhere in the suite. Furthermore, the Pacific design team created a space where the technology access was completely wireless allowing teaching staff and students to share and collaborate on any material from any point with any display device anywhere in the suite. The suite was delivered on time and to budget after quite a rapid build the physical installation was fast and highly competent with additional changes to the control system interface being made quickly and efficiently.